Marion Rhodes is a German expatriate who moved to the United States in 2001. She is a trained journalist, a bilingual translator and copywriter, and a cross-cultural advisor. 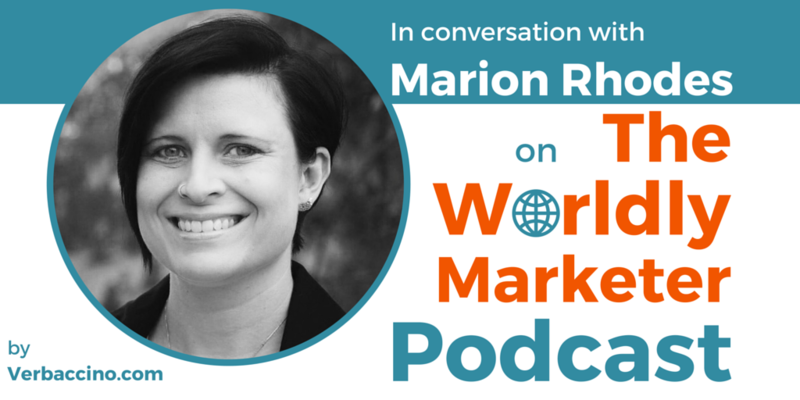 As the proprietor of Integrated MarCom Translations, Marion helps businesses expand their brands across the Atlantic by making their marketing materials come to life in German. Marion is a member of the American Translators Association (ATA), and is currently serving as President of the ATA’s Colorado Chapter. Her marketing and media skills, combined with her cross-cultural knowledge, allow her to create compelling translations that always hit the right tone. To her, every translation is a work of art, carefully crafted to resonate – linguistically and culturally – with its intended audience. I first discovered Marion through her blog, where she provides helpful information for translation buyers about topics such as the translation process and marketing to international audiences.